Welcome to Paysafe Developer Center. Get familiar with Paysafe products and tools using the Guides and References below. The Paysafe Card Payments API offers a full suite of credit and debit card functionality to meet all your card-processing needs. The Paysafe 3D Secure API offers you full control of the cardholder authentication process for your e-commerce platform. Paysafe is compliant to 3D Secure version 1.0.2. The Paysafe Customer Vault API provides the ultimate in tokenization services. The Paysafe Direct Debit API lets you accept online payments directly from your customer’s bank account. We currently support most major bank payment schemes, including ACH, EFT, BACS, and SEPA. Paysafe's Secured Checkout lets you process payments while delegating the handling of sensitive payment data to Paysafe. This enhances security and reduces your PCI compliance requirements, while providing an enhanced customer checkout experience. Deliver a consistent shopper experience with no redirect. Full customisation of the look and feel. Supports the lowest PCI compliance level SAQ-A. Paysafe’s suite of APIs puts you in control, allowing you to manage the user onboarding experience as well as the buyer checkout experience. Paysafe provides an Account Management API to allow platforms and partners to create a customized onboarding process. This is used to onboard users and merchants as part of their application to enable the processing of payments. Split Payouts enables platforms and partners to receive their service fees directly from their merchant and user accounts as part of each transaction, and to share and distribute payments among multiple accounts. Businesses can grow quickly by offering targeted, localised payment methods in key markets. paysafecard is an online prepaid method that allows you to reach new customers that do not traditionally have a bank account or credit card. Skrill is a global digital wallet payment option that has a strong focus within the European region. NETELLER is a global digital wallet payment method with a strong focus in the African and Latin American regions. Paysafe Pay Later offers merchants quick, guaranteed payments, generous shopping baskets and support for B2B and B2C transactions. Sofort instant bank transfer has high consumer preference in the German-speaking countries of Europe (Germany, Switzerland, Austria) and also in Belgium. Giropay is an interbank system and the official implementation of German banks for online bank payments. Rapid Transfer is a popular instant bank transfer payment method used in thirteen countries across Europe and the UK. Paysafecash is a new, alternative prepaid payment method that allows customers to pay online easily and safely using cash. Interac gives you access to your money for online purchases, straight from your bank account ... like using cash, but more secure. PayPal is a global digital wallet payment option with 250M+ account holders and a strong focus in North American retail markets. 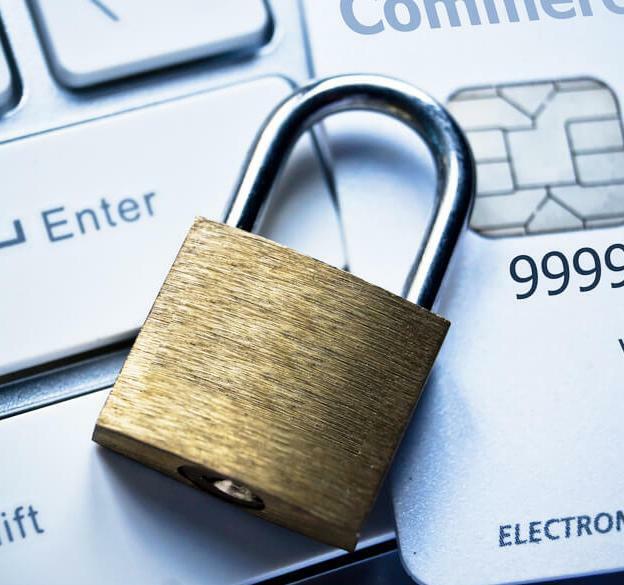 The importance of PCI compliance and how we take care of it for you. PCI compliance refers to the Payment Card Industry Data Security Standard (PCI DSS), a worldwide benchmark mandated by card schemes to ensure that any merchant processing, transmitting or storing credit card information provides and maintains a secure payments environment. Paysafe's Payment Platform and solutions are PCI DSS Level 3.2 compliant, the highest level possible. We take on the burden of compliance and validation. It is much easier to achieve compliance if your business model doesn’t require storing payment card data: we can take care of it for you. Paysafe is available through several e-commerce platforms, providing you with a flexible and simple way to start processing payments on your website. The Paysafe Magento extension, compatible with both Magento Community and Enterprise Editions, provides the ultimate in payment processing and fraud management developed specifically for online retailers. The Paysafe nopCommerce plugin enables credit card payments using the Card Payments API through the nopCommerce open-source shopping cart. Extend your WooCommerce installation to use the Paysafe Card Payments API by installing the Paysafe Payment Gateway plugin.